Ah, the Watergate scandal. Even though many of us were alive during this event, many of us just couldn’t believe what was happening. 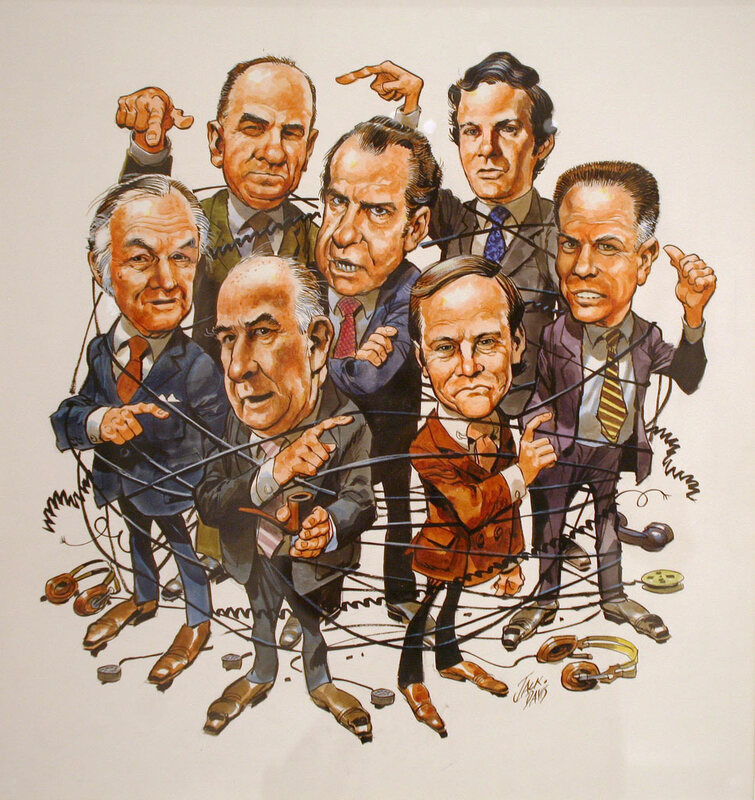 Basically, republican presidential candidate Richard Nixon hired a group of men to break into and bug the Watergate hotel, which served as the headquarters for the Democratic National Committee, who was running George McGovern as their presidential candidate. Even though McGovern lost, as predicted, the Watergate scandal brought something dark and ominous to not only the presidency, but politics. All in all, the five men who broke into the hotel were all arrested, and Nixon resigned shortly thereafter. In 1990, it was claimed that two men stole 13 paintings, estimated to be over $300 million worth of precious, original artwork from the Gardner Museum in Boston, Massachusetts. And what happened to those two men? They were never found. Even now, they are still probably out there. Hopefully they have given up art theft as a form of generating income. However, if you do have any information about these two men or the incident, the museum is still currently offering a $5 million reward for legitimate tips in their effort to recover the stolen artwork. Nearly 20 years ago, former Army soldier Timothy McVeigh from Waco, Texas drove an entire trucked packed with 2.5 tons of explosives into a federal building, killing 168 people and injuring 800 in the process. The explosives were all determined to be homemade, with many of the parts coming from over-the-counter ingredients. Whether or not he knew it happened, he had also killed 16 children in a neighboring daycare facility from the explosion. He was eventually caught and sentenced with capital punishment. He was executed in 2001, six years after the incident.